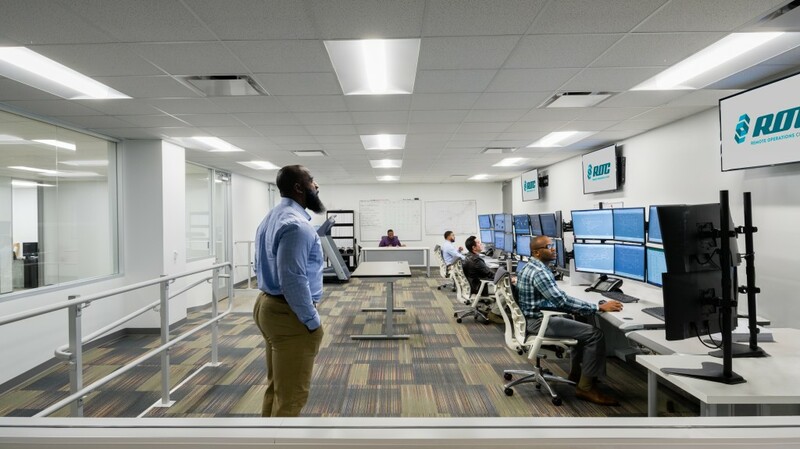 Houston-based Remote Operations Center (ROC), a leader in oil & gas control room operations, provides outsourced control room services to over 6,000 miles of pipelines, spanning crude, natural gas, saltwater disposal, and refined products. Historically, oil and gas operators have managed pipeline control room operations internally. Yet, recent reports show an increase in outsourcing among organizations with cost as a major driver, but not the only factor. Many companies choose to outsource to augment in-house expertise, access specialty tools and processes, meet performance objectives, maintain compliance standards, manage volatile business cycles and expedite growth. There are value propositions and business cases for each of them. Building a control center is a capital intensive project and ongoing control room operations requires significant annual expenses. Outsourcing control room operations leverages the facilities, expertise, processes, and procedures for a fraction of the cost of an internal build, leaving savings that can be reinvested in a company's core asset base. It also improves the predictability of expenses with contracts specifying fixed charges and avoiding what are often hidden operating expenses such as SCADA maintenance and upgrades, training requirements, equipment upgrades, and operational downtime associated with less reliable infrastructure. Outsourcing can be key for operators that are building or have recently purchased a new asset with a short transition period. Pipeline operators preparing to operate new assets have countless hurdles to cross before commissioning, including commercial arrangements, permitting, construction/upgrades, testing, and compliance documentation. Operators often underestimate the time and number of moving pieces that must come together to complete controls infrastructure and hire personnel to operate a control room. Given the criticality of controls for pipeline operation, interdependencies among people, processes, and technology involved, commissioning control room operations often becomes a critical path item in the project schedule. Outsourcing to an established and reputable control room provider with proven infrastructure and knowledgeable staff gives operators a significant schedule advantage. These providers can integrate control room operations on an accelerated schedule, which reduces integration risk and gets revenue flowing much sooner than building and staffing an internal control room operation. When it comes to security, energy pipelines are defined as "critical infrastructure" by the National Infrastructure Advisory Council, part of the U.S. Department of Homeland Security. From a compliance perspective, the pipeline industry is standing on the precipice of large new regulations. In an environment of constantly changing security threats and regulations, companies are vulnerable to the risk of being caught behind the curve. Operators then find themselves spending unplanned dollars and far too many hours and resources trying to understand, catch up to and comply with the new regulations or recover from a security incident. Because control room operations is their core business, outsourced control room providers are inherently incentivized to remain on the leading edge of compliance and security. They can attract control room experts, network with thought leaders in the space, interact with regulatory agencies across the country and make large investments in security that would be cost prohibitive for individual operators. Pipeline control room organizations are highly process driven. Failures in process adherence can contribute to catastrophic events, including the release of gas or oil resulting in major safety and environmental consequences. Every pipeline operator wants to reduce the risk of a safety or environmental failure. To properly manage the processes designed to prevent these failures operators must employ effective process controls. Control room operations are also subject to periodic regulatory audits including procedural reviews, documentation reviews, control room design assessments, employee interviews, and emergency drills. To avoid audit penalties, operators must demonstrate compliance with all aspects of control room regulations during the audit. Outsourced control room providers have a competitive advantage in process management and compliance management over internal control room operators. Outsourced control room providers operate diverse assets for many different operators across many different geographies, which allows them to draw on and implement best practices in process management from a large knowledge base. Additionally, outsourced control room operators interact with regulatory agencies on a more frequent basis than an individual pipeline operator, which gives these providers a quicker feedback loop from regulators allowing for more rapid execution of continuous improvement initiatives. Maintaining a control room is expensive, and mistakes are costly. If a pipeline owner owns and operates a control room, they own 100% of the risk and 100% of the liability. Often, pipeline owners would like to make additional investments to reduce the control room risk, but these investments are either cost prohibitive or lose out to other company priorities. Outsourced control room providers can help pipeline owners reduce risk and liability. Outsourcing facilities can use scale to invest in higher levels of reliability such as fully redundant power, communications, hardware, software and data storage. Control room service providers can also invest in advanced physical and cyber security protection with all customers enjoying the benefit. Working with an organization that provides outsourced control room services provides flexibility for the changing needs of a company, whether that involves the need to scale up or down quickly. Accommodations are also available for a rapidly growing company that needs additional capacity or temporary projects. In conclusion, although outsourcing services in general has always been an option in the energy industry, contracting control room services is a relatively new and growing space. Control room services offer pipeline operators the opportunity to leverage industry experts, robust infrastructure and established processes to reduce operational risk and remain in compliance while saving costs that can be captured or redeployed in other areas of the business. Outsourcing provides safer and more efficient pipeline operations - a win for the oil and gas industry.